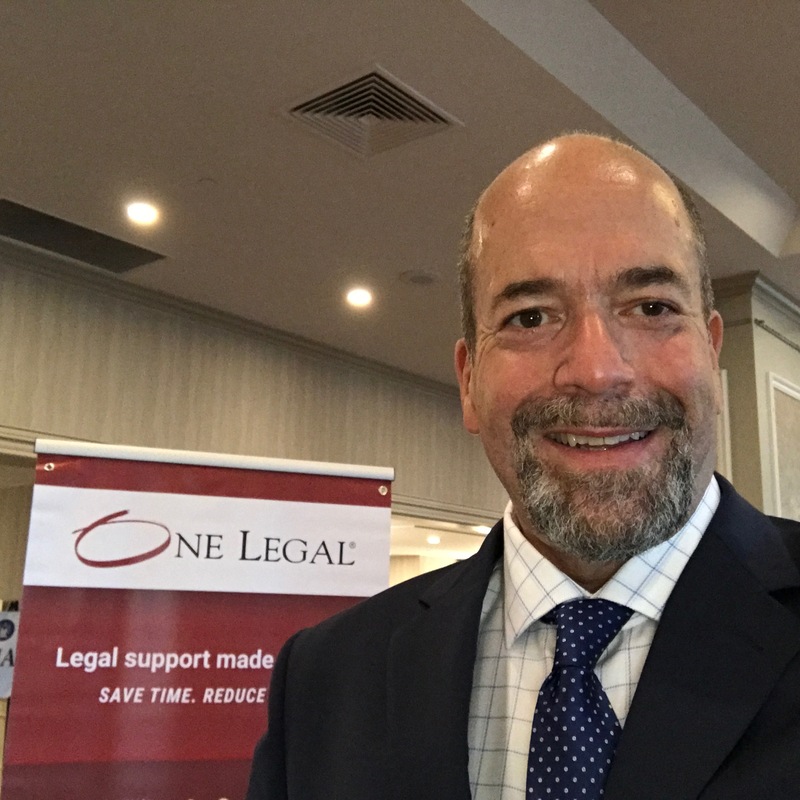 As Program Manager for One Legal’s Justice Group, Mark works directly with many eFiling court’s project teams, including court management, and so can share his unique perspective. During this session, he will provide updates on eFiling in CA; which courts are eFiling now and which courts will be. In addition, he’ll offer up a high-level overview of what’s happening in other states on the eFiling front. He also hosted a panel at ServeCon 2015 called The State of E-Filing and What it Means for Your Business. Up until recently it was a slow adoption of e-filing in California. Law firms and their staff are some of the most change averse people. CCNS in the early 2000’s was originally designed as a platform for all California courts to communicate with each other. Even though the project was shelved some courts are still using it. Governor Brown recently asked courts to figure out a better way to do business and to cut costs, and now courts are starting to look at different options. Last week judges and executives from 49 trial courts asked for $149 million more dollars in spite of the governor’s request to cut costs. Funding is scarce and adoption is slow. Mark Schwartz, Program Manager for One Legal’s Justice Group and former president of CALSPro, will moderate a panel of “e-Professionals” who will bring you up to speed on the current state of eFiling and eService in the U.S. The discussion will also touch on relevant technology and the benefits that eFiling and eService can provide to you and your customers. How does this disruptive technology affect your business? What can you do to remain relevant in the digital age? Join us at ServeCon 2015 to find out. A new company, Tyler technologies, has nearly replaced CCNS. There are 16 counties that are using Odyssey (which also has an electronic filing platform). The judicial counsel has done an amazing job within the past year of modernizing the rules that deal with e-filing and e-service. Bookmarking and pagination are now part of the state’s requirements. Things are moving a lot faster nowadays. Look at Los Angeles (the largest court system in the state)…when L.A. adopts e-filing other courts will follow. LA starts probate in May on a permissive basis with a mandate in May. Family court comes onboard in August with Civil later this year. San Mateo will come on with several case types in April. Santa Clarita will also join this year with civil, civil claims, and unlawful detainer between March and May. Many smaller counties will also adopt e-filing. But keep in mind… the situation is fluid and ever-changing. KNOW YOUR COURT! A note on open vs. closed ecosystems. Just because a state has e-filing ability, doesn’t mean there’s opportunity there for process servers. It’s a varied landscape with a lot of opportunities. Not all states do it on a statewide basis. Texas and Indiana did, but California and Maryland have not. Florida is looking for people who want to become third party batch filers. Texas has been e-filing on the civil level since 2006 and right now they’re rolling out criminal e-filing, 221 counties in the next three and a half years. They’re also looking into online document retrieval (which is rather controversial given that it’s a revenue source for the courts). Indiana has 7 electronic filing providers available. Maryland has Tyler and File Serve Express doing e-filing work, but only in one county. The courts are doing the same thing process servers are. They’re trying to adapt and they’re suffering in the process. Mark encourages process servers to have some empathy for court workers that are also learning. Be patient and take your time and ask questions about new technology. Visiting with experts and understanding the terminology can help you have a better conversation with courts and your customers. Ask questions of your colleagues, competitors, courts, and staff. Stay informed. The National Center for State Courts is a great resource. Social media groups are also a hub for attorney service folks who want to stay up to date and share their tips. Attending committee and association meetings can also help. Mark also recommends setting up Google alerts for your county so that you’re getting the latest information on e-filing in your state and county. If you’re thinking about jumping in, take a look at what value ads you can bring to the table (i.e. if it’s brand recognition think about how you can capitalize on those relationships). Take your time and be willing to train your clients and act as a resource. Don’t be afraid to change! It’s scary, it’s hard, and it’s uncomfortable, but what you need to do is embrace change. Do what you need to do to stay relevant.